Sun Shades and Graphics offers VISTA Window Tinting Films EXCLUSIVELY in the central South Carolina area. This is the highest quality film on the market to be used on your home or office window tinting. This is Eastman Performance Films premier architectural film. Vista has invented several things in their manufacturing process that other window tinting manufacturers have tried to duplicate. The very foremost is their adhesive system, which has been on the market since 1977 and has never had an adhesive failure (bubbling and peeling). Every other manufacturer has experienced some degree of adhesive failure with all their films. All Vista window tinting films are made of either metal or ceramic, giving you the maximum heat and glare reduction possible, ensuring that the color will never change. Unlike other metal films, Vista films are not shiny on the interior. This will give you a neutral view when looking out of your windows. Ceramic film technology has also been incorporated into the Vista line. These films are for use when a flat neutral appearance is desired inside and outside your home while still reducing the heat and glare. 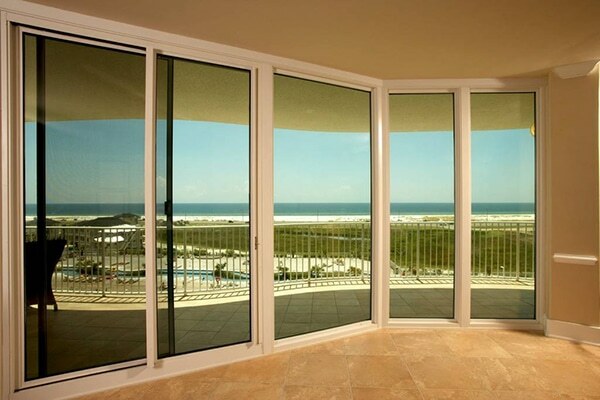 All Vista films will reduce the ultraviolet light by 99.9%, thus reducing fading of furnishings in your home or office. This is the highest U.V. reduction rating in the film industry. For these reasons, Vista is recommended by the American Society of Interior Designers, The International Interior Design Association, The American Institute of Architects and The American Cancer Society. All Vista window tinting films are fully backed on an International level by a network of authorized dealers. This insures that our clients will always have all their window film needs taken care of. For the premier Vista Window Film dealer and installation look no further than Sun Shades & Graphics. We proudly serve the state of South Carolina’s shading needs including Irmo SC, Columbia SC, Aiken SC, Lexington SC, Chapin SC, and West Columbia SC.